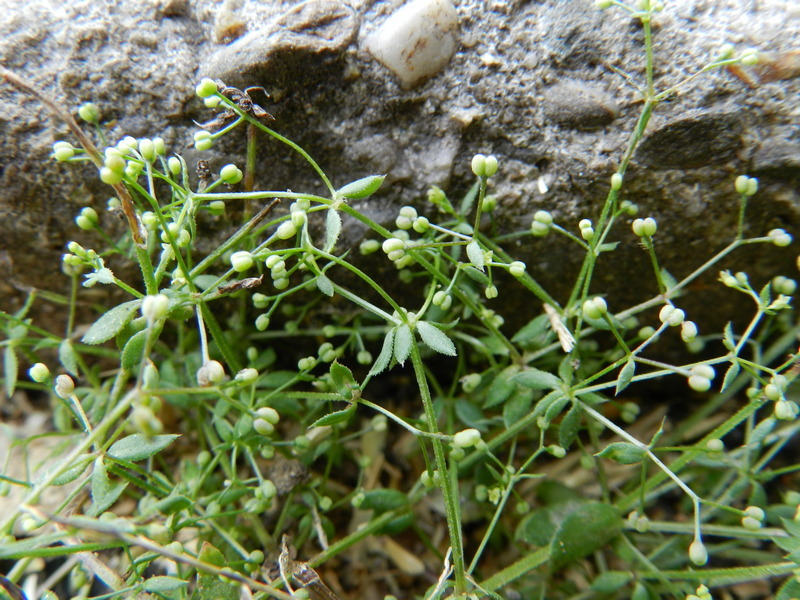 Galium parisiense L. (Medit.) – A regular and increasing alien, known since at least the first half of the 19th century (e.g. Blankenberge). 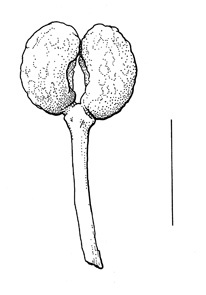 Formerly exceptionally introduced with wool (Ensival, 1904), while more recent records are often associated with cereals. For quite a long time Galium parisiense remained strictly ephemeral or persisted at most for some years. However, since ca. 2010 it seems to be more or less established in a few localities, all in climatologically favourable circumstances. It is known, for instance, to persist between cobble stones in the city of Gent and from railway yards or –sidings in Kortrijk (Marke) and Antwerpen (Luchtbal). In 2014 also discovered in a few localities in or near Brussels (Evere, Sint-Stevens-Woluwe) and perhaps elsewhere overlooked in urban habitats. Also, Galium parisiense is still a frequent grain alien in port areas (mainly in Antwerpen and Gent) and it was also seen on several occasions in containers with olive trees from the Mediterranean in garden centers (Hoste & al. 2009). An up-to-date overview of Belgian records is available here: http://waarnemingen.be/soort/view/9179. The taxonomy of Galium parisiense and related species is controversial. It is here accepted in a broad sense as to include G. anglicum Huds. (syn. : G. parisiense subsp. anglicum (Huds.) Arcang., G. parisiense var. leiocarpum Tausch; see Ortega Olivencia & Devesa 2007 and Lipscomb & Nesom 2007 for synonymy). This taxon is distinguished by its smooth mericarps. It is given species rank by some recent authors, for instance in North America (e.g. Lipscomb & Nesom 2007; Allen 2013). Most Belgian records, recent as well as historical, are referable to this taxon. Galium parisiense s.str., with distinctly bristly mericarps, is much rarer and was formerly associated with the wool processing industry. However, a population from a railway yard in Kortrijk also pertains to that taxon. 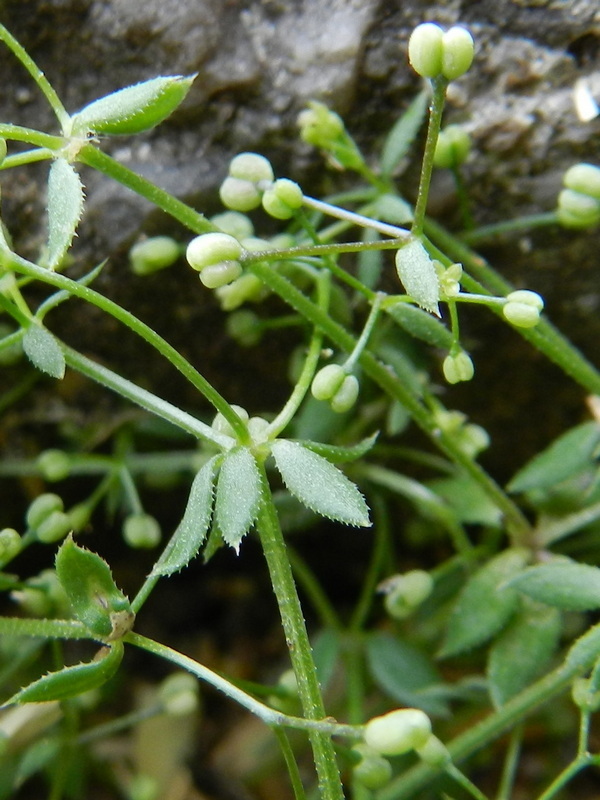 Likewise, Galium divaricatum and G. tenuissimum are closely related and both have also been combined under G. parisiense, even by recent authors (e.g. Ortega Olivencia & Devesa 2007 for the former). However, both are now mostly accepted as distinct species (see also under these species). Brenan J.P.M. (1953) Galium parisiense L. Watsonia 2: 413. Durand T. (1899) Phanérogames. In: De Wildeman E. & Durand T., Prodrome de la flore belge. A. Castaigne Editeur, Bruxelles: 1112 p.
Kaplan Z. 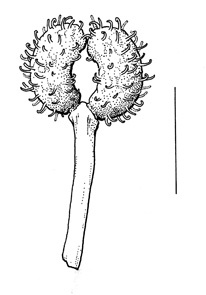 & Rehorek V. (1998) Galium parisiense: a new alien species for the Czech Republic. Preslia 70(1): 51-56. Otto H.-W. (1985) Galium parisiense L. - ein bemerkenswerter Nachweis für den Norden der DDR. Archiv der Freunde der Naturgeschichte in Mecklenburg 25: 135. Smettan H.W. (1995) Steifgras (Catapodium rigidum (L.) C. E. Hubbard) und Pariser Labkraut (Galium parisiense L.) auf den Fildern/Württemberg. Jahreshefte der Gesellschaft für Naturkunde in Württemberg 151: 385-391.